Sharon Vecchiarelli is a board certified health counselor and nutrition educator with training from The Institute for Integrative Nutrition, and certification through The Teachers College at Columbia University. With almost two decades of experience as a chef in whole foods, Sharon is currently teaching methods of preserving seasonal foods, cooking and baking classes as well as managing a thriving private practice. Her passion is for foods that look tempting, taste wonderful and uses the finest ingredients available. Of course, it is best if the ingredients are found locally and grown organically. 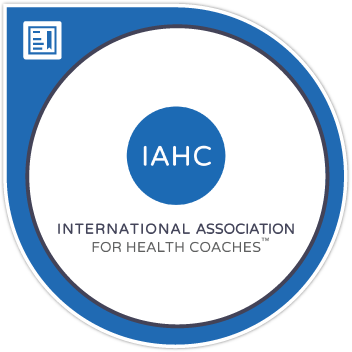 The foundation of Sharon's work is to promote health and wellness by providing integrative coaching. This approach offers truly individualized strategies and results while providing support and accountability. Taking small measured steps will bring lasting change. In Sharon's practice, the client is seen and honored as a whole person. By asking powerful questions, she can guide the client in discovering what truly makes them happy and then working with the client to plan the steps which lead them to where they truly want to be in life.﻿ It is Sharon's privilege to be a part of this work and to serve each client no matter where they are in life. an objective mirror, giving feedback and observations for your consideration - no advice. an advocate for your potential, who encourages you to empower and affirm yourself. a truth teller, with respectful confrontation telling you what you need to hear. a thought-provoker, asking questions you have to answer, a catalyst for your self-insight. the occasional "devil's advocate" who offers another perspective for your consideration. a visionary who is not in your business, home, or occupation, yet can help you see your potential and dreams and hold you accountable to staying on track. help you set your goals, define your values and choose action steps and timelines, then holds the possibilities for you so you can see them for yourself. support your commitment to doing it for yourself. help you recognize your desire to be unstuck and supports you in making it happen. guide you to knowing your values and priorities so that you can choose balance in your life.